The winners of the 2017 Hackathon ChallengeGagan Gupta, Himanshu Chaudhary and Puneeth Lingaiah, who are all students at KTH, developed the innovation called Value Waste which was covered in the latest edition of KTH Magazine; https://www.kthmagazine.se/artiklar/panta-bort-sopbergen.  CNBC Priya Sheth interviewed Shri Alkesh Kumar Sharma, CEO of DMICDC about opportunities for foreign investors. CNBC Priya Sheth interviewed the Swedish minister of Enterprise, Mikael Damberg and the Manager of Sustainability at IKEA, Patrik Antoni. 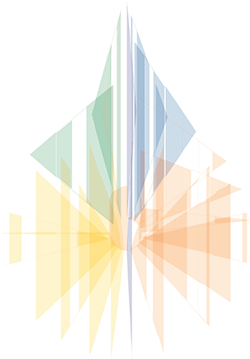 CNBC Money Control interviewed the Indian ambassador to Sweden and Latvia during the India Unlimited Business conference.  The conference on Innovation and Entrepreneurship: Co-Creating the Future presented a dynamic discussion with many prominent speakers. Among them, Mr Lars Winter, Domsjö Fabriker AB. Mr Anil Raj, OMC Power. Mr Pavan Sukhdev, Gist Advisory. Mr A. V. R. Srikar, Godrej Group. Mr Niklas Jungegård. Ms Fredrika Ornbrant, Government of Sweden. Mrs Soniya Billore, Linneaus University. Mr Alan Mamedi, Truecaller. Mr Kjell Håkan Närfelt, Vinnova.  Moderated by Mr Mikolaj Norek, Forum for Innovation Management. 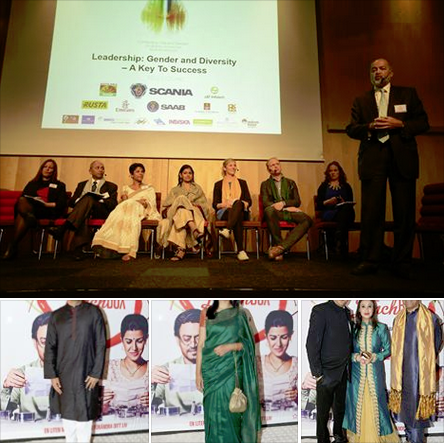 Re-Imagining India 2025 was one of the most visionary talks on the future of India, and Sweden’s role in it. 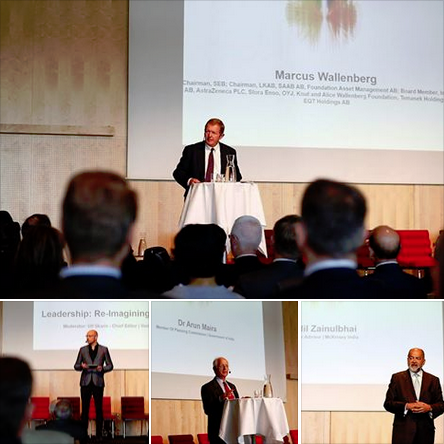 The session was opened by Mr Marcus Wallenberg, Chairman SEB, SAAB, and was followed by an eminent panel consisting of Dr Arun Maira, Planning Commission. Mr Adil Zainulbhai, McKinsey India. Mr Klas Eklund, SEB. Ambassador Mrs Banashri Bose Harrison, Embassy of India. Mr Anders Bauer, Kunskapsskolan. Ms Divya Thakur, Design Temple. Mr Anders Grundströmer, Scania India. Moderated by Mr Ulf Skarin, Veckans Affärer. India Unlimited hosted a spectacular Gala Dinner for 300 guests, who enjoyed delicacies from all over India, with master chefs from Delhi and Goa and feasted their eyes on a rich variety of cultural programmes, among them the prominent Indian contemporary dancer Astad Deboo, and the modern Indian dancer Avikk Parkour, and a fashion show by Vogue India hosted by Bandana Tewari. Conferencier for the evening was Ayesha Quraishi. 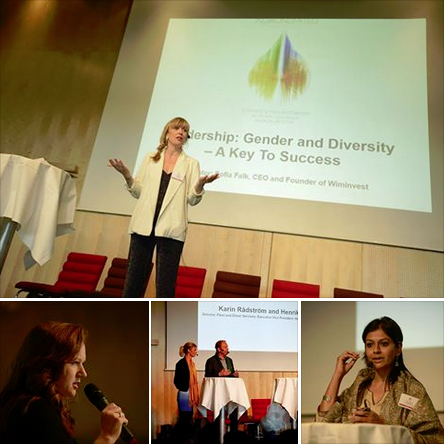 Our Leadership Conference on Gender & Diversity, Key to Success presented a leading panel with Mrs Rani Kasapi, Botkyrka Municipality. Mr Sarbajit Deb, L&T Infotech. Mrs Ranju Alex, Goa Marriott Resort and Spa. Mrs Nandita Das, Actress, Social Activist. 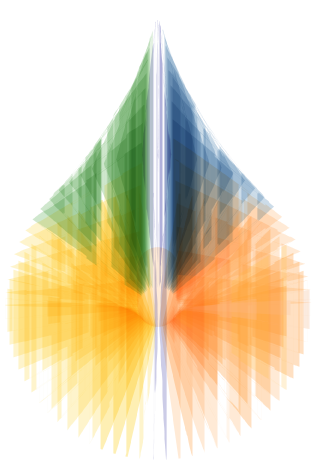 Ms Karin Rådström, Scania. Mr Martin Lundstedt, Scania. Mrs Anna Lithagen, Tillväxtverket. Mr Adil Zainulbhai, McKinsey India. Moderated by Sofia Falk, Wiminvest. 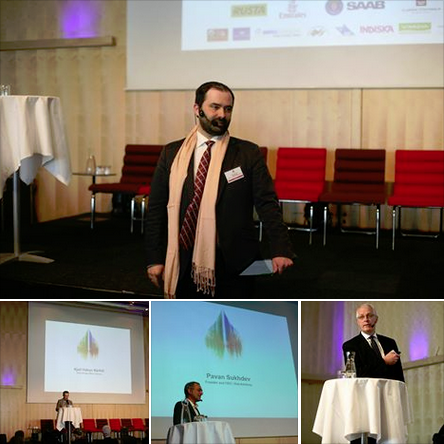 Travel India & Sweden Conference – Find What You Seek was one of our best attended conferences presenting Mr Stefan Spendrup, Indcen Resor. Mr Mikael Svensson – FilmISkåne and Öresund Film Commission. Mr Saransh Goila, Celebrity Chef and Actor. Mr Kounteya Sinha, The Times Of India. Mrs Camilla Pontén, Stockholms Tillskärarakademi and Textila Gymnasiet. Mrs Ranju Alex, Goa Marriott Resort and Spa. Mr Björn Ekegren, Emirates. Mr Henrik von Arnold, Stockholm Visitor’s Board. 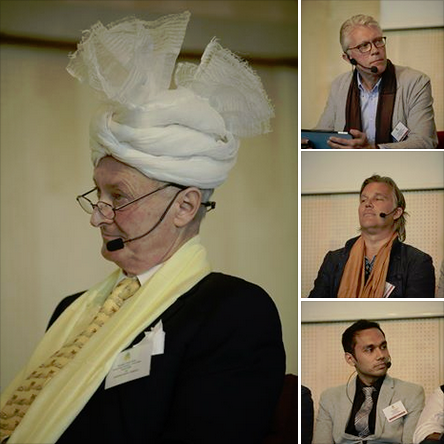 Moderated by Mr David Ståhl, India Expert. 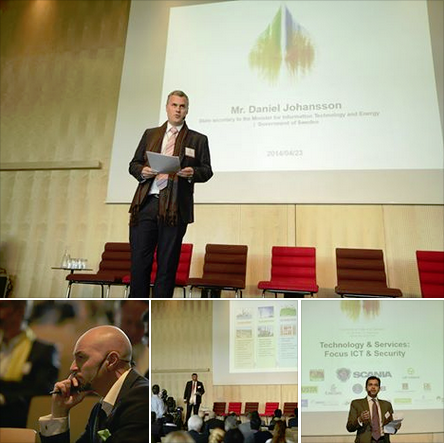 Our Technology Conference with an ICT & Security focus presented the best of India and Sweden with Mr. Daniel Johansson, State Secretary ICT, Mr Makarand Deolalkar, L&T Infotech. Mr Lars-Olof Lindgren, Saab India Technologies. Mr Christian Johansson, Gunnebo AB. Mr Amit Bajaj, Tata Consultancy Services. Mr Mats Granryd, Tele2. 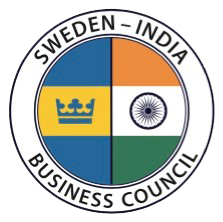 The session was moderated by Mr Robin Sukhia, Swedish India Business Council. Inauguration India+Sweden Business Week officially inaugurated by Mrs Banashri Bose Harrison, Indian Ambassador, followed by Ms Ayesha Quraishi’s acting a poem written by her specially for the occasion. Keynote speakers were Dr Arun Maira, Member Planning Commission, Mrs Anna Kinberg Batra, Leader of Moderate Party in Swedish parliament and Mr Deepak Premnarayanen, CEO ICS Group and leader of the Business delegation organised by Confederation of Indian Industry. 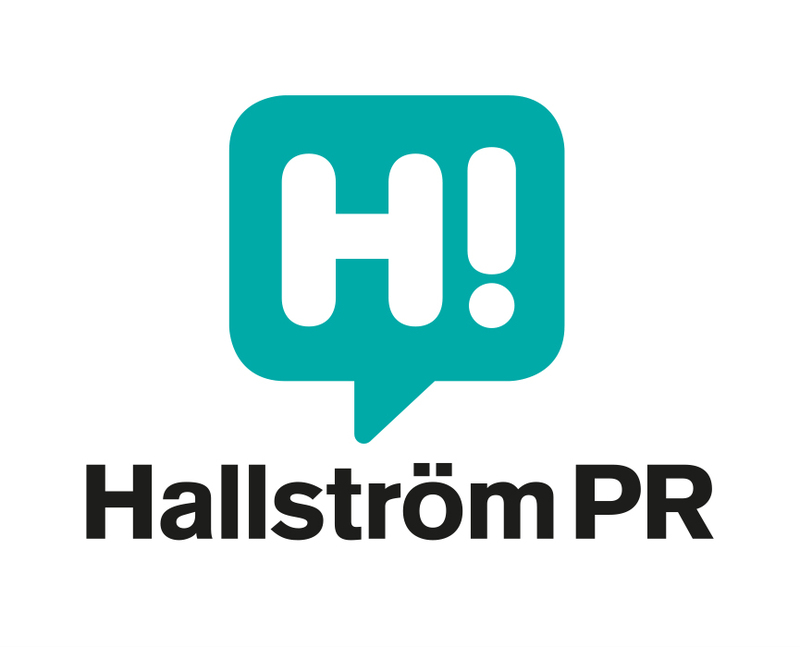 — at Clarion Hotel Stockholm. 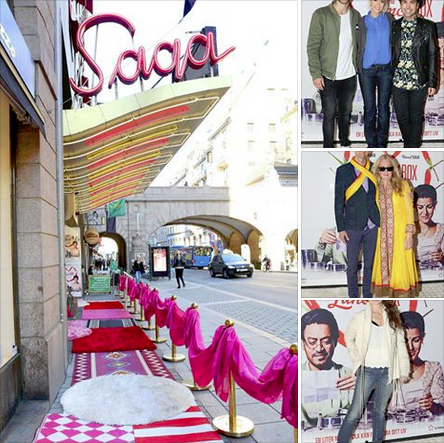 Cinema Indien: India Unlimited Week launched with showing of diversity of Indian cinemas with Cinema Indien at Saga with a Gala premier of the new film The Lunchbox attended by both Swedish and Indian celebrities. 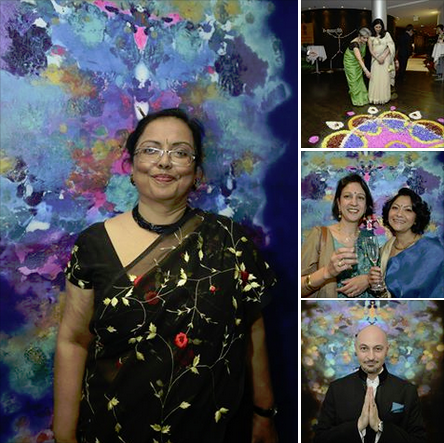 Among others we had Amelia Adamo, Nalini Bonnier, Dheeraj Akolkar, Nandita Das, Arnab Ringo Banerjee on the red carpet. — at Biograf Saga. 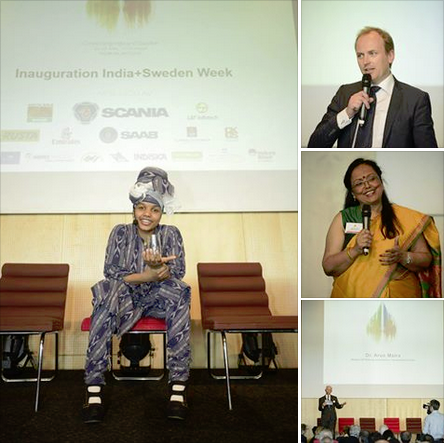 Highlights from the successful India+Sweden week, which was held between 22-28 April 2014 in Stockholm. Watch this space for more stories and detailed picture updates from each event.